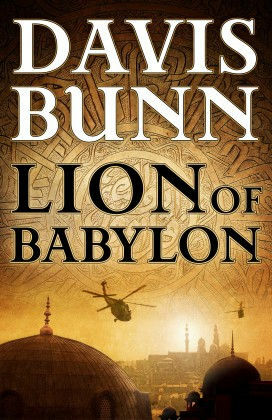 I was recently asked to review an advanced copy of Davis Bunn‘s latest book called “The Lion of Babylon.” For those of you not familiar with Davis’ work, he is a New York Times bestselling author of numerous books too many list here. His focus is Christian fiction but he always adds a twist that dramatizes a resolution to a conflict. The “Lion of Babylon” is a perfect example. Please take a minute and read my review, which is also posted at http://www.DavisBunn.com. What would a story about modern day Iraq have to do with Jesus? How did his message of love and healing reach the Muslim world, and what profound effects could that have on sworn enemies? The answers to those questions are what make ‘Lion of Babylon’ such a compelling story with broad implications to the turmoil in the Middle East. Davis Bunn is a well-known and respected author of many best-selling books, all with a Christian theme or slant. It surprised me that he would tackle such a thorny issue as the Middle East, where a majority of the population are sworn enemies of Christianity. But then I remembered that he lived in that region for many years and would have gained a unique understanding of the Muslim mind and character. Without giving too much away (it is an action thriller on the surface), ‘Lion of Babylon” shares a message of healing and reconciliation that is only possible through one source. Strip away the layers of beliefs created by fervent factions, and we all hold the same heritage and birthright…and each of us were created in the image and likeness of God. When the focus is moved away from our differences and placed on our similarities, miracles of healing melt the crust of anger, hostility and hatred from our hearts…and break them open to pure love. ‘Lion of Babylon’ is destined to become a major piece of the solution to Middle East peace. Please tell everyone about this book – and spread its message of peace and healing to the world! Davis loves to hear from his readers. He wrote me the greatest comment after reading the review – check it out in the sidebar. To say I was thrilled is an understatement! To receive a personal note from a New York Times bestselling author was such a gift – one which I hope to pass on someday. You can friend him on FaceBook and also sign up for his newsletter at http://www.DavisBunn.com. When I was a child, my mother wanted me to learn to play a musical instrument. I tried the piano, but it never connected to anything real in me. Then I discovered the flute – what a magical instrument! I found that I could play it with abandon, discovering new ways to combine the three notes that I knew how to play. Sadly, the music that I thought I was playing was not the same sounds that other people heard. My parents tried to encourage me, but finally it was agreed that the silver piece of finely tuned metal would be returned. And the part of me that reveled in the joyous expression of music – however loathsome to others – went underground, hurt and forgotten. Now, looking back over forty years, it occurs to me that I connected with the flute because it made my heart sing. Whimsical notes could trip off my breath, while my fingers knew their place. My body worked in perfect synchronicity with my breath and my spirit grew wings. It was my music to express, whether anyone else appreciated it or not. No one is to blame. My parents did what they thought best at the time. I accepted their judgment willingly, even though it made me sad to abandon that magical world I created when I played. And I have discovered other ways to fan the spark of creativity – writing, speaking, and teaching. Accepting what happened opens a door that leads to deeper understanding and knowing. Acknowledging my own creative value moves me through the door and into a new world to discover, dance and sing. Allowing the creative force that still resides in me expression is how I write the songs of my heart. When was the last time you played your flute? Planning the garden was fun. We checked out different areas of the yard, walked off the corners, and built the frame for the raised bed. The dirt was supplied by a local nursery, and planting day was full of rowing, raking and bending. The seeds were loving placed in neat rows, labeled carefully and watered. It only too k one week before we saw some very tiny sprouts poking through the blanket of dirt. Three weeks later, those small sprouts have grown into hardy plants, maturing before our eyes. It made me wonder about the energy displayed by those small seeds. As the seeds lay in their dark nest of dirt, they waited for the correct amount of sun and rain to trigger the mysterious process of growth. Dormant and patient, the potential energy waited patiently. Imagine the energy it takes to push through the seed casing, upwards through the heavy dirt until the sprout breaks free and turns towards the sun! What compelled those small seeds to burst through their shell to expand and grow into something more? The best answer I came up with was simple – it is just what they do. It is who they are. Seeds are meant to become the plants they are. Pea seeds grow into a pea plant; squash seeds produce squash; lettuce begets lettuce – you get the idea. What if we are the designed the same way? What if our thoughts are the seeds of creation that become manifested in our life? I have tried this idea out and found it to be true. When my thoughts are angry or focused on some imagined hurt, I find myself looking for ways to justify my pain. When my thoughts are open and positive, I attract more of the same. The energy of my thoughts become manifest in my world, just like the seeds in my garden. The secret is that I chose what to plant in my mind, just like you do. I am the gardener of my thoughts, and I harvest what I sow. My life is created from the fertile soil of my focus and attention, fueled by desire for a particular result. But it all starts with my first thought…and goes through a similar process as the seeds in the garden. I imagine, then plan, then plant, then nurture, then enjoy the harvest. Does this sound too simple to be true? I challenge you to try it yourself and keep track of the results. I would love to hear from you. Tend to your seeds of creation and watch your life explode in ways you never dreamed were possible! Today is Mother‘s Day. A time to pay tribute to those women who gave us life and w ho guided us through the turmoil of childhood, adolescence and adulthood. Today is also a time to take a breath and be thankful for our children or the people to whom we have been mentors. Think of it as connecting the past to the present to the future. We learn to relate to others from the people who raised us. Our first experiences of relationship is with those who fed, bathed and clothed us. If done with love and joy, we blossomed. If anger or frustration sometimes showed their face, we shrunk. Either way, we learned how to be with other people. Those lessons are passed down to future generations. Whether you have children or not, you can still be a mother. Think of it as being a mentor, someone older and wiser who shares her wisdom with another. The emotional connection can be just as strong whether you are biologically connected or not. We all have something to share – a bit of wisdom that was hard-earned but runs deep. A morsel of advice that sheds light on another’s dark day. Even a smile that shows you care. So let today be a celebration of love – for your self and the world. We are all connected on some level. We all share the same origin of birth. We all have to negotiate our way through life, no matter who we are. So be a mother, whatever that word means to you. Find someone who could use an encouraging word, or a hug, or just a loving squeeze of the hand. Let them know you care, and that love will connect us all. Have you ev er noticed that people see life differently? The same event can happen in front of ten people, and all ten will have a different perspective, opinion or judgment about what just occurred. The facts of the event were the same, but they were interpreted differently by each pair of eyes who observed it. Call it a “Life Lens” – the filter through which you see your world. This simple truth came to my attention again this morning. Lately, I have struggled with balancing work, family and the various writing projects I have stacked on my desk, waiting for my attention. At the start of each week, I set goals to start the writing flow again, but something always seems to get in the way. I found myself blaming work, the bills that made me go to work, and even the fact that we had severe weather two weeks ago! This morning, as I was mulling over what I could do to get moving again, I realized something – my Life Lens was obscured and cloudy. As I waited for the perfect time to clean my desk, attack those projects and get productive, I became more and more frustrated. Because I looked for solutions outside of me, I felt like I had no control. My life seemed to be spinning and I was just along for the ride. Some days, it felt like I was about to go over the edge of a cliff! Then I made a simple change in my perspective – my Life Lens. And now I know I am the one driving the bus. 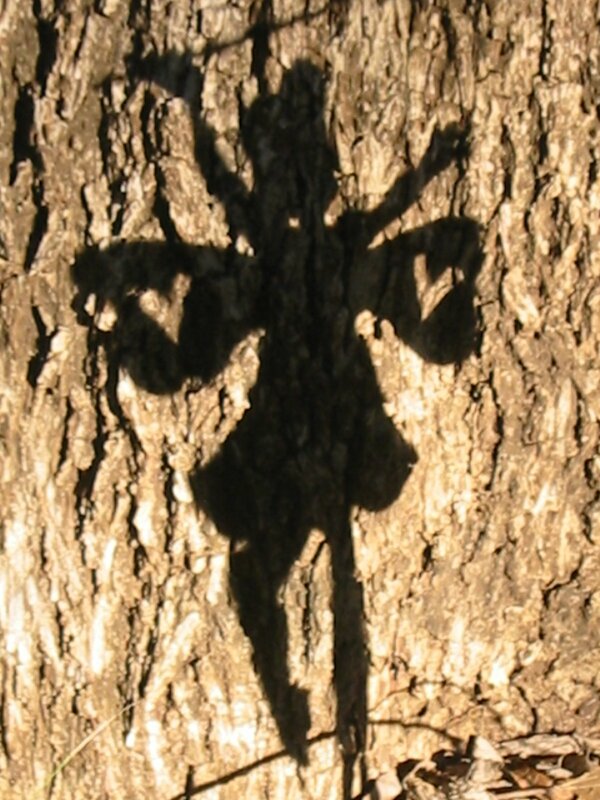 What did I do that radically changed my outlook (and consequently, my mood)? I defined who I am first, then looked at what needed to be done. Let me explain. During my quiet time this morning, instead of feeling guilty for not finishing the multiple projects that litter my desk, I took a deep breath and let the frustration, guilt and anger go. My body relaxed and I could feel the tension leave my shoulders. Then I pictured what I wanted for myself and let that image take over. I keep reminding myself of that image and from that place, I make decisions that support it. A quick synopsis of my thinking pattern follows. This morning, I declared that I am a successful writer who has a cluttered desk. What does a successful writer do with a messy desk and a lot of unfinished projects? She begins the process of organization and planning, because she knows that she cannot write well if she is distracted by other minutiae. See the difference? Instead of blaming everything outside of me for my clutter, I can now move forward because I have defined myself (and changed my perspective). My Life Lens is sharpened and the tasks before me are clarified by the definition I give to myself. 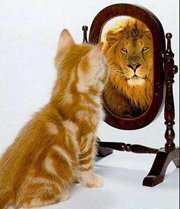 And when I look in the mirror tonight and reflect on my day, I know I will feel good about the progress I made. The reflection I see will be Who-I-Am, not a woman who sometimes feels that life is slipping away. Define yourself, clean off your Life Lens, then go live your life. There is no better time than now.